Authentic weaves banana bark with shells for Cook Islands/Rarotongan & Tahitian Dancers. Headpiece is for children and adults. This is a sample of what we can make for you. This headpiece accented with natural shells. Listing is only for one headpiece. NOTE-- This listing is for children and teen/adult. OPTION- headpiece base can be any solid color also we can change the mango shells around the borders to either, white or green too. If you want to add hau grass or feathers to this headpiece please message us so we discuss it and the price. PLEASE LET US KNOW ]IF YOU THERE ANY CHANGES YOU WANT TO THIS HEADPIECE. Please verify your head size when you purchase so that i can make it for you. Please note that all natural materials is unique and not duplicated so banana bark will vary from the picture but I do use materials that is similar to the picture. All items are 100% authentic and handmade by us here at Tiare, if you would like to customize items on the bra feel free to send me a message and i have no problem making this bra uniquely to your liking! Plumeria Mother of Pearl Shell. 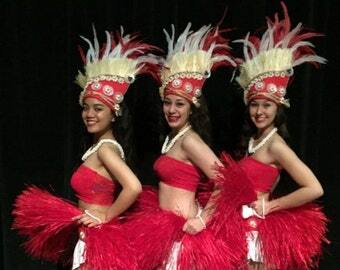 Tahitian & Cook Islands Headpiece, Perfect For Soloist, Dancers Of All Ages! Choose Your Color! Princess Shells Headpiece. Tahitian & Cook Islands Headpiece. Perfect For Children And Adult Of All Ages. Tahitian & Rarotongan/Cook Islands Headdress/Headpiece..Lauhala, Mother Of Pearl Shells, Rooster Tail Feathers And Fresh Water Pearls. 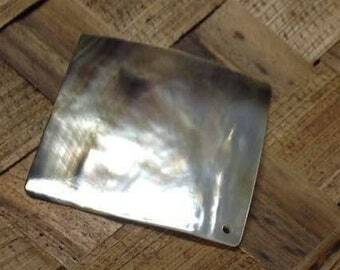 Drilled Mother of Pearl Shell. The listing is for one shell only..
Tahitian & Cook Isslands/Rarotongans White Dove Tail Shells Headpiece. Perfect For All Ages And For Any Occasions! Beach Wedding, Dancers! 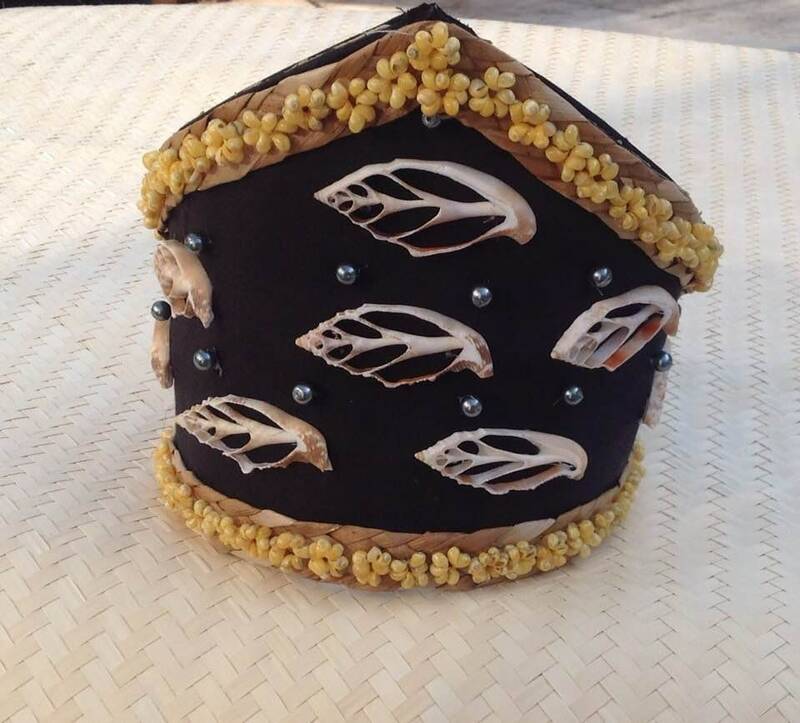 Huahine Headpiece. Tahitian & Cook Islands Lauhala And Niau Headpiece. Perfect For All Ages!! STUFF THOSE EASTER BASKETS WITH ITEMS FROM OUR SHOP DURING OUR EASTER EXTRAVAGANZA! ENJOY 20% OFF SELECT ITEMS IN OUR SHOP FOR A LIMITED TIME ONLY! SALE ONLY APPLIES TO ORDERS MADE DURING DURATION OF SALE. SALE DOES NOT APPLY TO CUSTOM ORDERS, RUSH FEES, OR GIFT CERTIFICATES. Authentic Weaved Lauhala Bra top for Cook Islands/Rarotongan & Tahitian dancers. Perfect For Children And Adults Of All Ages. 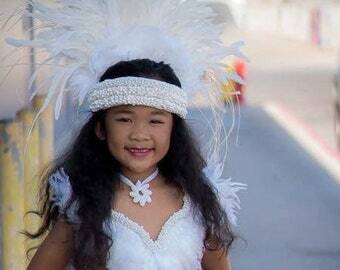 Cook Islands & Tahitian Princess. Costume set is perfect for children and adults too. Tahitian & Cook Islands Lauhala And Hau Headpiece. Perfect For Children And Adult. 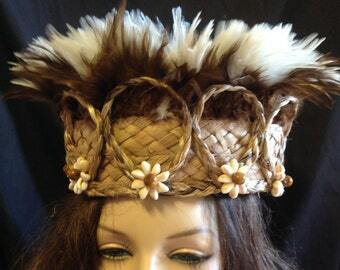 Tahitian And Cook Islands Headpiece. Abalone Shell Headpiece. Perfect For Children Of All Ages. Tahitian & Cook Islands/Rarotongan Costume Set. Perfect For Both Male And Female Of All Ages. Tahitian & Cook Islands Headpiece. Weaved Seagrass Headpiece. Perfect For All Ages. For Male Will Change The Shells To A Cowry Egg Shells.